Jamie Carragher has told Manchester United that the five-point gap to Manchester City is “nothing to worry about”. The Red Devils are looking to challenge for the Premier League title this season after having finished in a disappointing sixth place in the table last term. Manchester United returned to winning ways in the Premier League on Saturday when they beat Tottenham 1-0 at Old Trafford thanks to Anthony Martial’s second-half goal. 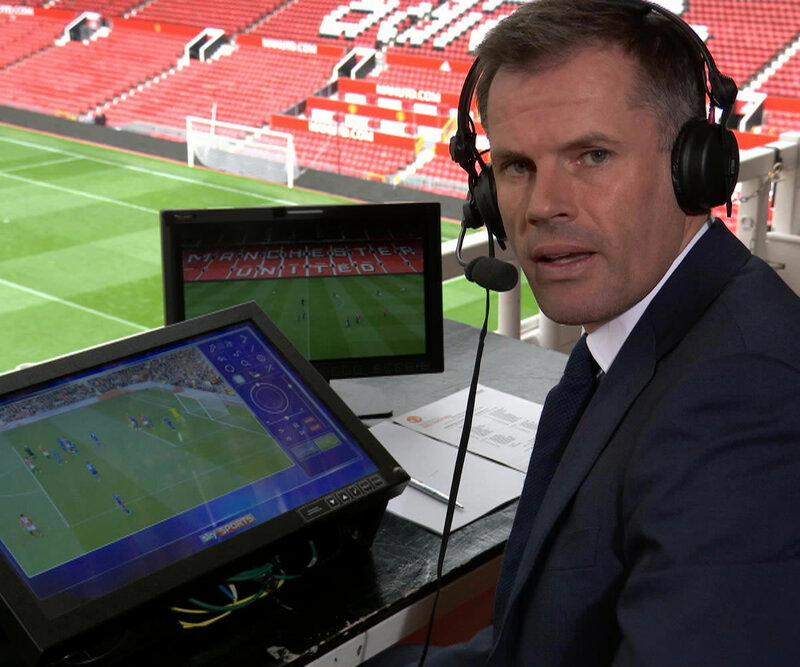 The two Manchester clubs still need to go head to head in the top flight this term and Carragher believes that Manchester United are still more than capable of catching Manchester City in the race for the title. Writing in his column for the Daily Telegraph, Carragher said: “The gap to City is now five points. That is nothing to worry about at the moment, particularly as the clubs must still meet twice. Manchester United will switch their attentions back to Champions League affairs on Tuesday night when they take on Benfica at Old Trafford. Jose Mourinho is aiming to become the first manager to lead Manchester United to the Premier League title since Sir Alex Ferguson’s final triumph in charge back in 2012-13. Manchester United finished sixth but won both the Europa League and League Cup in Mourinho’s first campaign in charge at the club last season.